Sri Nani Coomar Chakravarti, an ardent devotee of Sri Sri Babathakur, reflecting on the thought that His ‘Words’ should be preserved and made to reach the people at large, prayed to the Master for establishing a Society for the purpose. Sri Charkravarti´s sincerity of purpose convinced the Master and He granted permission to establish the Saccidananda Society. Thus he derived power, right and authority to create the Trust from the consent and approval given by Sri Sri Babathakur Himself in presence of the members of the Trust and the Society was formed, legally registered as a Charitable Trust. This Society is, in effect, an Institute of Supra-Culture and has been formed primarily with a view to spreading the message of Prajnanpurush Sri Sri Babathakur which is indicative of His dalliance in the realm of Absolute transgressing the boundaries of conventional religious precepts. He was verily the Supreme I-Reality. His revelations as spontaneously deliberated by Him have been exalted by strong scientific interpretation and impeccable logical analysis. This society endeavours to bring out His message for the benefit of all without any discrimination. Since the formation of the Society, it has been engaged in collection and publication of these ‘Revelations’ of the Master through various media like printing, DVD’s, Audio CD’s, television viewing. These include His discourses and revealed Bhajans. A bilingual (Bengali and English) quarterly is also brought out primarily to spread His messages. Satsang programmes are organized in India as also abroad as a part of this process. Essence of His revelation is the ‘Science of Oneness’ which is presented by Saccidananda Society. It is just not-knowing God, Reality or Truth as is conventionally conceived, it is to know one´s own True Identity knowing which nothing else remains to be known, achieved, or gained. The Society’s objective is not to bring more people into its fold but to inspire and encourage the individuals to make inward journey to know his/her true identity which at first becomes the Universal identity and finally becomes the Absolute identity or I-Reality. 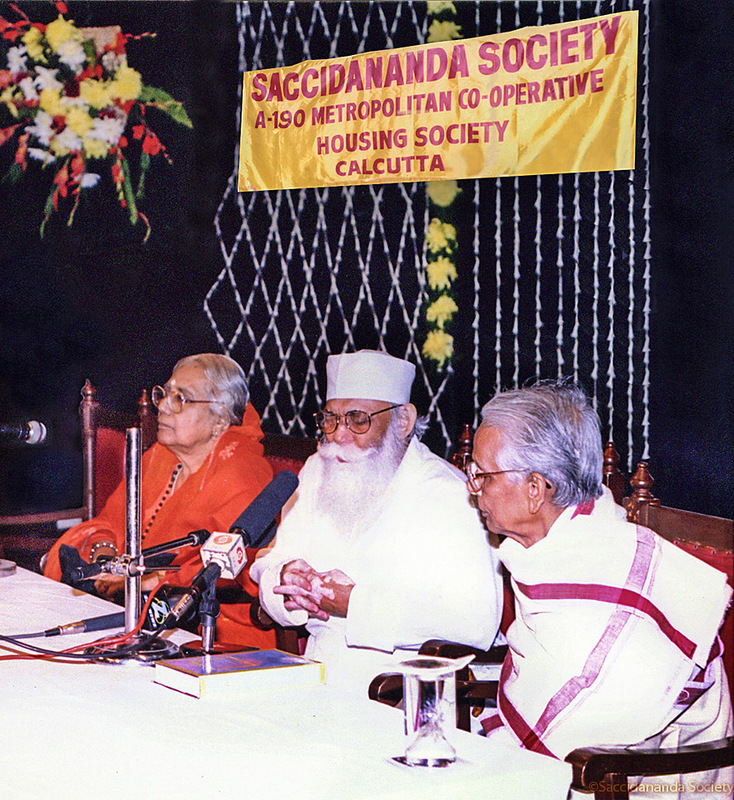 The Society has branches and local offices at various places in India and abroad. Details of these are listed in the Contact Us page. 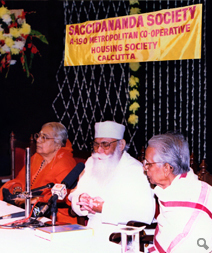 Saccidananda Society welcomes one and all, irrespective of faith, religion, belief, caste, creed, to start this journey.